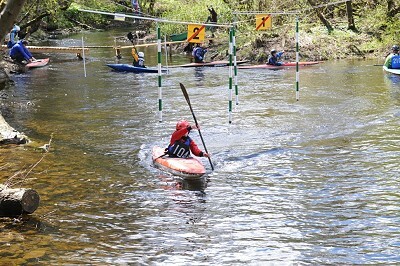 The slalom course is on the east side of Aberfeldy on the River Tay. Being positioned on a side channel of the main river it is primarily slow moving, flat water, with some soft eddy lines. The course is floodlit to allow for winter morning and evening training. 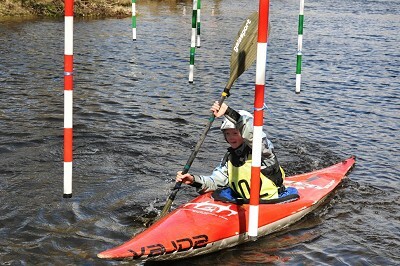 There is a path which leads users down to the site and follows the length of the slalom course. The site and car parking are accessed from the A827 when approaching from the east by turning right into the car park immediately BEFORE the 40mph speed restriction signs. When approaching from Aberfeldy, turn left as you leave the town, immediately after the derestricted speed limit sign.